The UAW lost one battle, but it may win another. 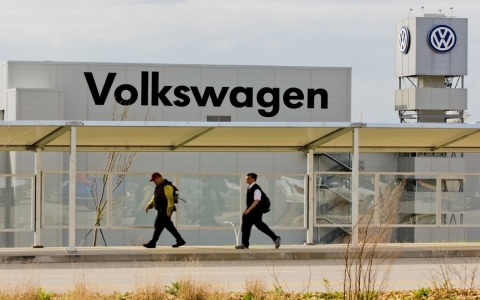 The National Labor Relations Board granted yesterday the United Auto Workers’ petition for a union election at the Volkswagen facility in Chattanooga, Tennessee. The election will be in a “micro-unit” of skilled tradesmen at the plant and will take place on December 3-4, only two weeks from now. According to the Associated Press/ABC News, the voting unit will consist of approximately 162 employees who maintain and repair manufacturing robots. This is approximately 12 percent of the facility’s total blue-collar workforce. VW unsuccessfully opposed the “micro-unit,” contending that the UAW should not be able to separately bargain on behalf of the small unit and arguing that the timing was suspect, in light of the company’s recent troubles related to diesel-fuel emissions tests. Because of their relatively high level of skill, maintenance employees are not easily replaced in the event of a strike. For this reason, if the UAW is successful, the skilled-trades unit is expected to have significant leverage against VW in bargaining. We’ve been covering the situation at VW-Chattanooga extensively and will keep you up to date on the latest developments, including the election results. Back to the past at VW-Chattanooga? Volkswagen adopts “European-style” engagement policy for Chattanooga . . . but will it stall?